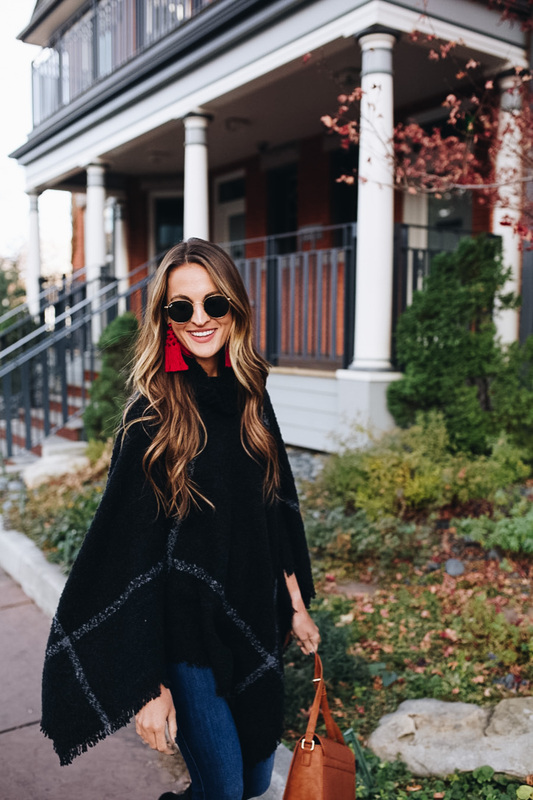 Last Friday I shared a post full of ideas on what to wear for Thanksgiving, and definitely threw a poncho into that mix. 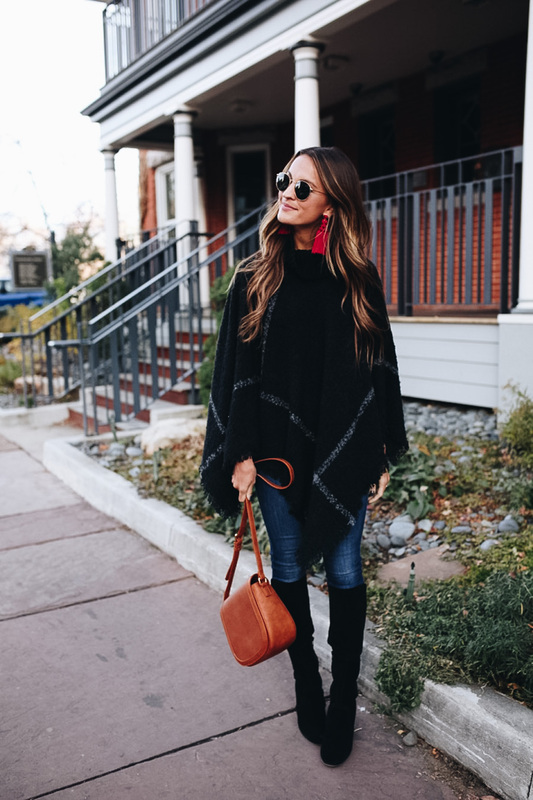 I feel like ponchos are a love or hate thing…people typically feel one way or the other about them. Personally, i LOVE THEM and if I could wear one everyday of the week I probably would. 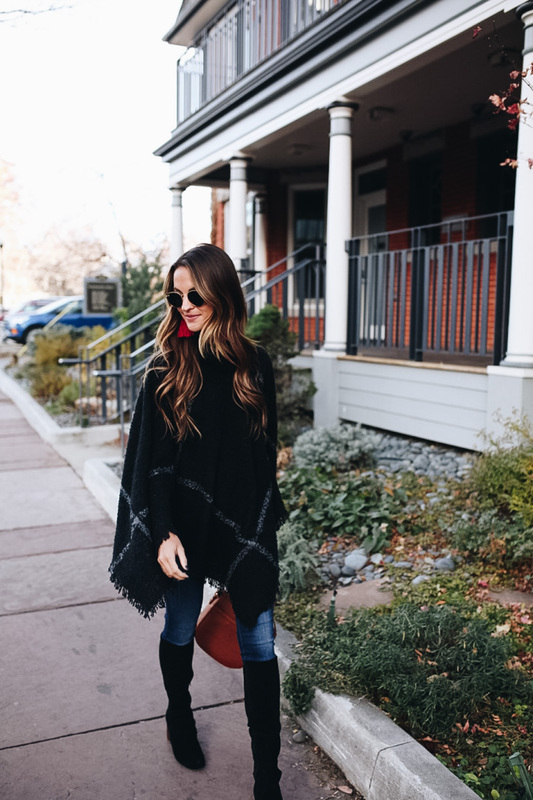 This cozy poncho I’m wearing today would be perfect for a Thanksgiving or Christmas dinner outfit! It’s less than $50 and also comes in grey! Another thing I wanted to point out about this outfit is how many AMAZING gift ideas are included here. 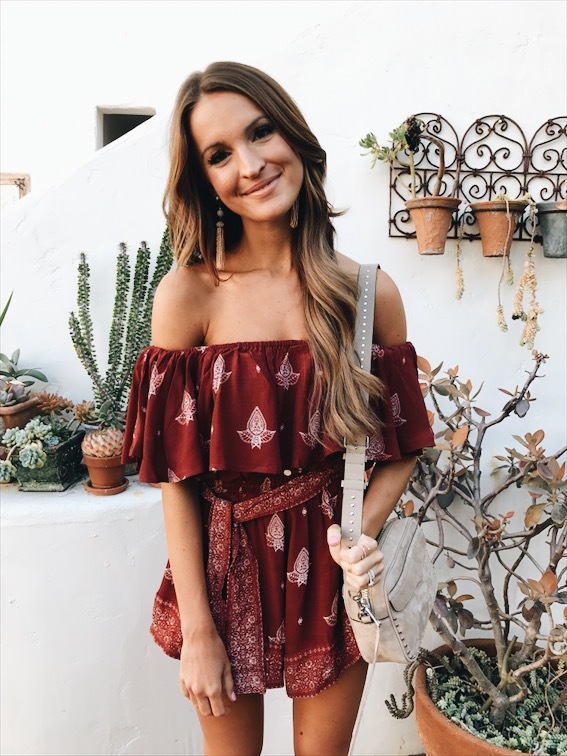 If you’re shopping for your mom, daughter, sister, or friend…there are 5 products in this look that would make for a perfect gift! 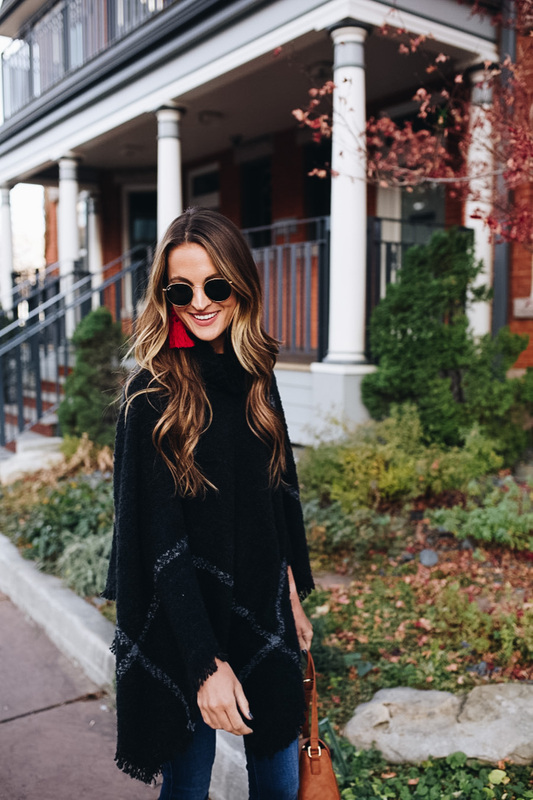 Tassel Earrings – these red tassel earrings make for the perfect holiday gift! I love how festive they are, but could still be worn year-round. And even though they’re big, they’re not too heavy at all! Crossbody bag – this would be a perfect gift for any fashionista or travel guru on your list. 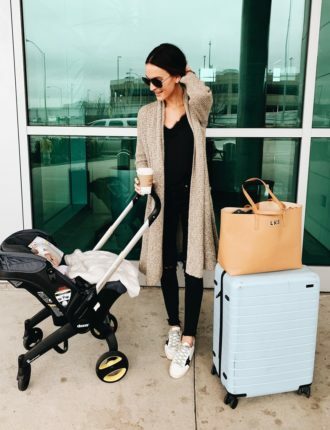 Comes in 4 different colors and under $50 yet still looks really chic! 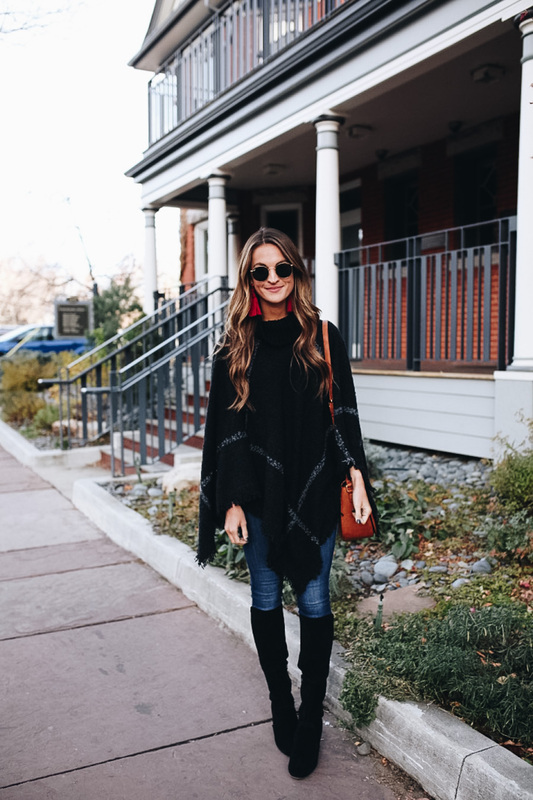 Suede boots – any momma’s out there shopping for their daughters…whether they are in highschool or a newlywed…these boots are amazing! They’re under $150 but look designer IMO. And even though they have a heel, they’re still really comfortable! I also like that they are not over-the-knee so even shorter girls can wear them! 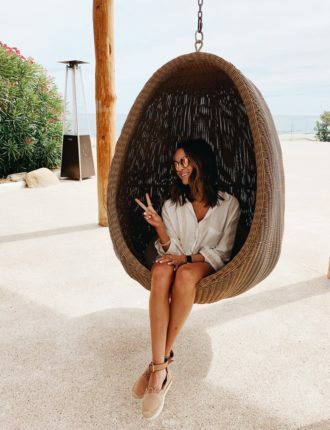 Ray-ban sunglasses – confession: I own WAY TOO MANY pair of sunglasses. But this round pair is still my go-to with basically every outfit. Boyfriends or husbands…if your girl is into fashion, or likes that retro style, these would make an amazing gift. 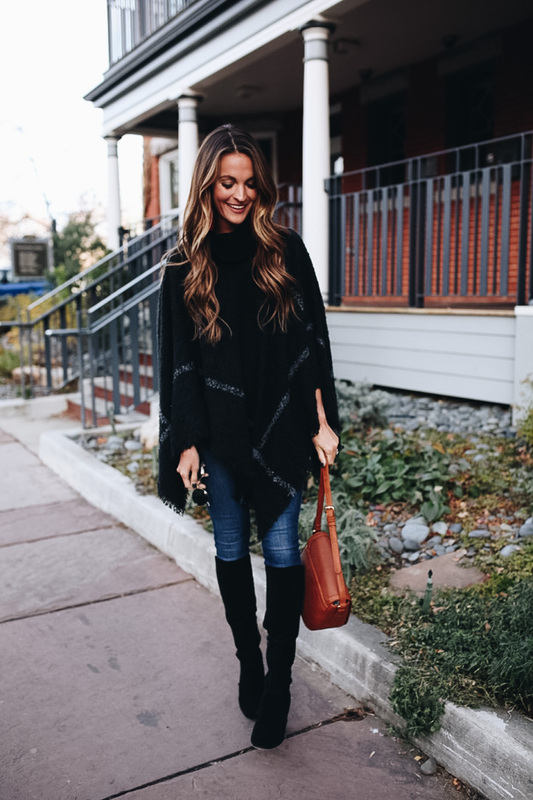 Like I said, whether you’re needing a great Thanksgiving outfit idea, or some gift ideas for your mom / sister / daughter / friend…hope this post makes either of those things a little easier for you! 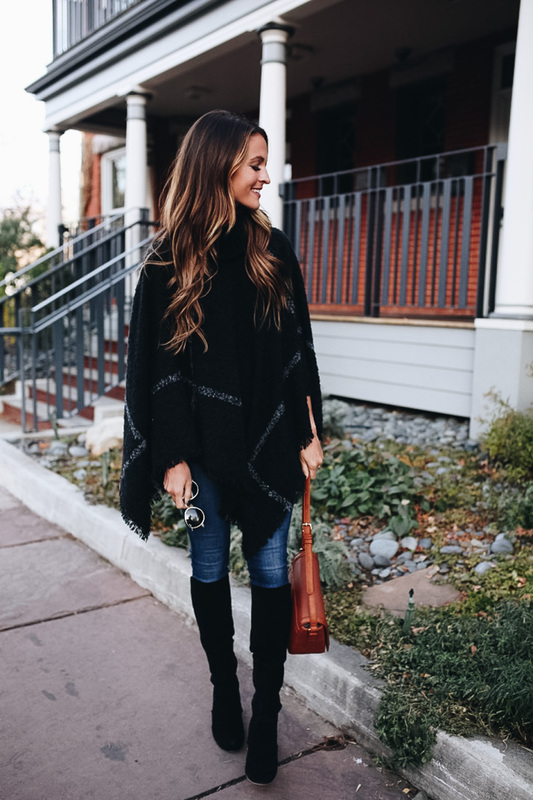 I promise you will not regret buying this poncho! 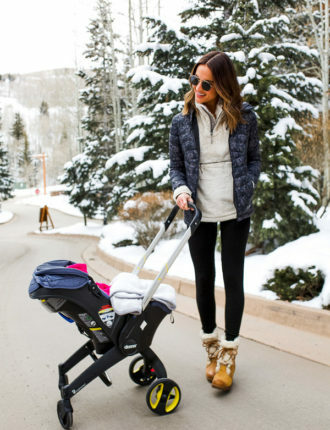 It is the softest thing ever, and just as chic as it is cozy! « gift ideas for him! they’re seriously so great! you definitely should!